Sometimes it’s good for us to disconnect from our phones and computers and put our heads into a good book. That doesn’t mean you have to put a hold on being inspired for those many entertaining occasions coming up. 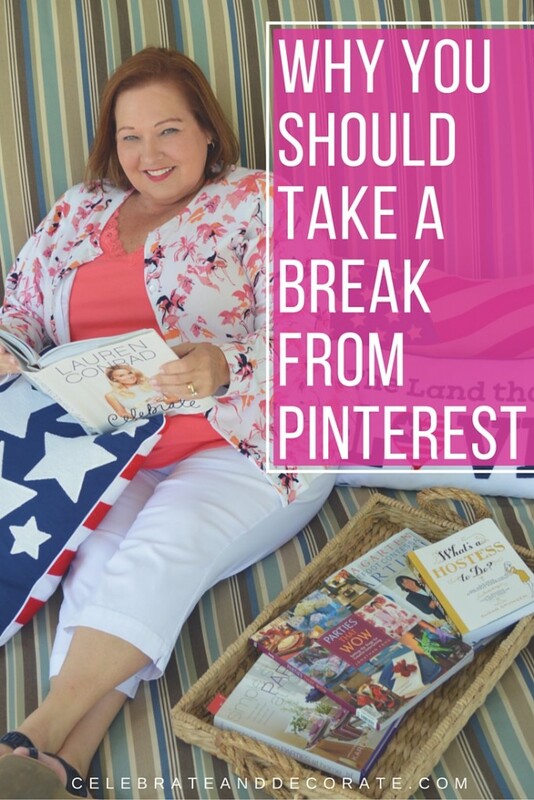 Pinterest is great, but let’s take it back to the basics… I have the answer, the books I’m reading this summer are a nice variety and are great sources for entertaining ideas! 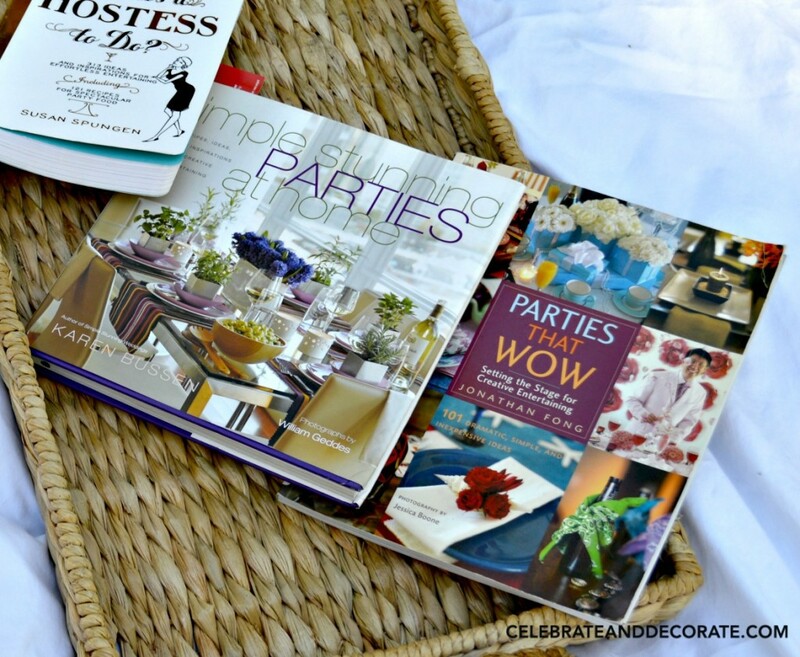 I had a few minutes to myself and instead of blogging, like I should have been, I decided to gather my favorite books on hosting and entertaining to get some fresh inspiration as I look forward to summer entertaining. 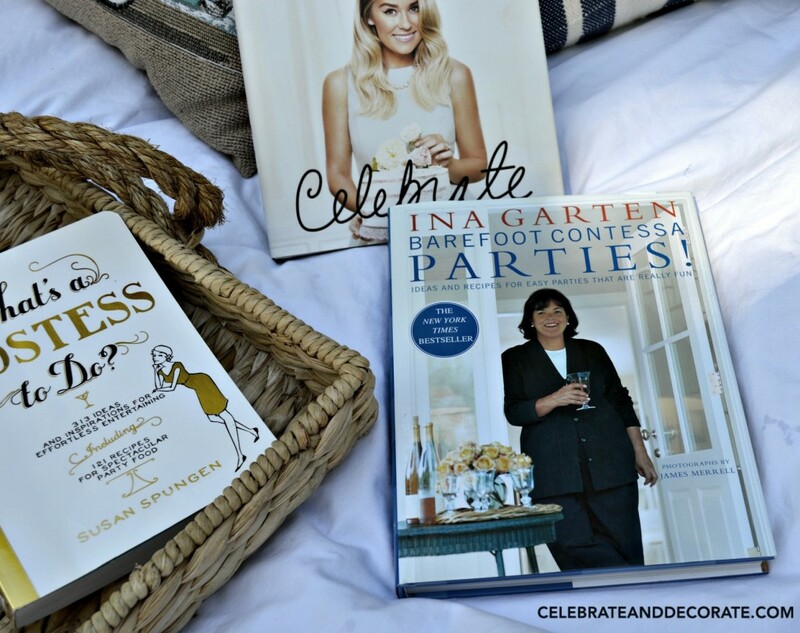 I picked up Ina Garten’s Parties book last year before I attended the BASH Conference. 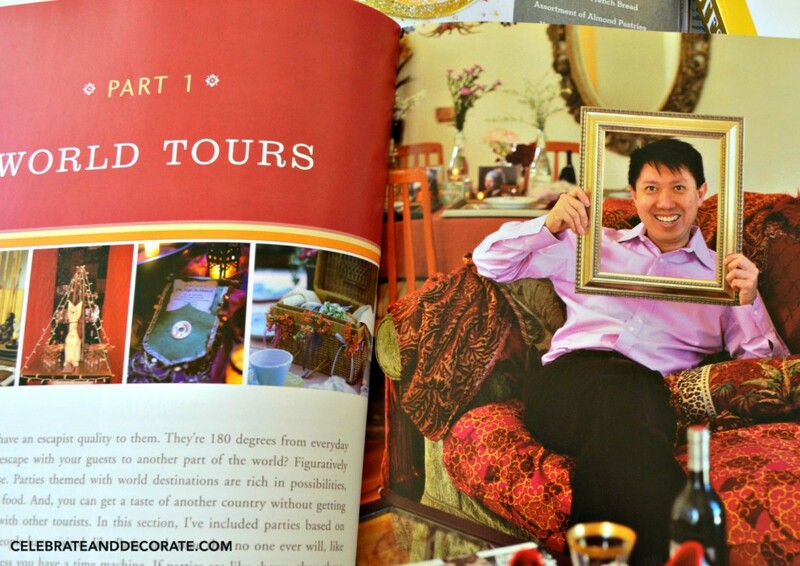 Did you see all the amazing tablescapes I featured from that event? Ina starts out with a little history about how she went from the White House Office of Management and Budget to becoming The Barefoot Contessa. My favorite advice from Ina about hosting is “STAY COOL”. 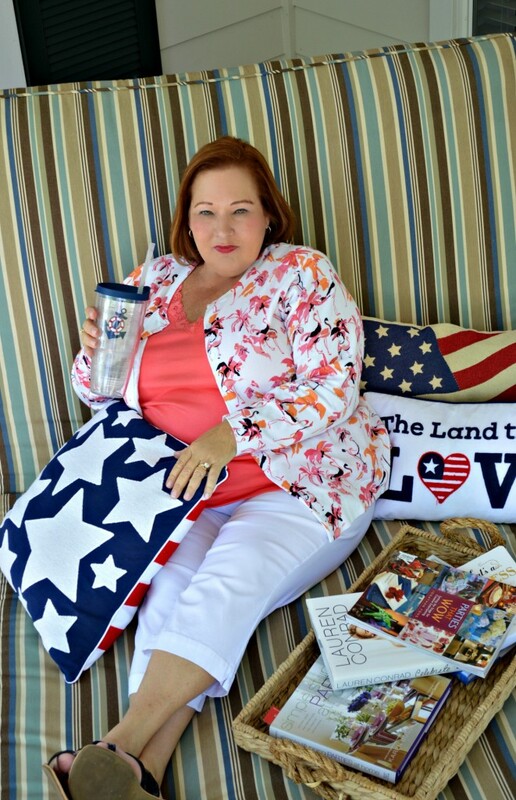 Enjoy reading how she has dealt with the unexpected when hosting! If you enjoy being a hostess, you will enjoy Barefoot Contessa Parties!! 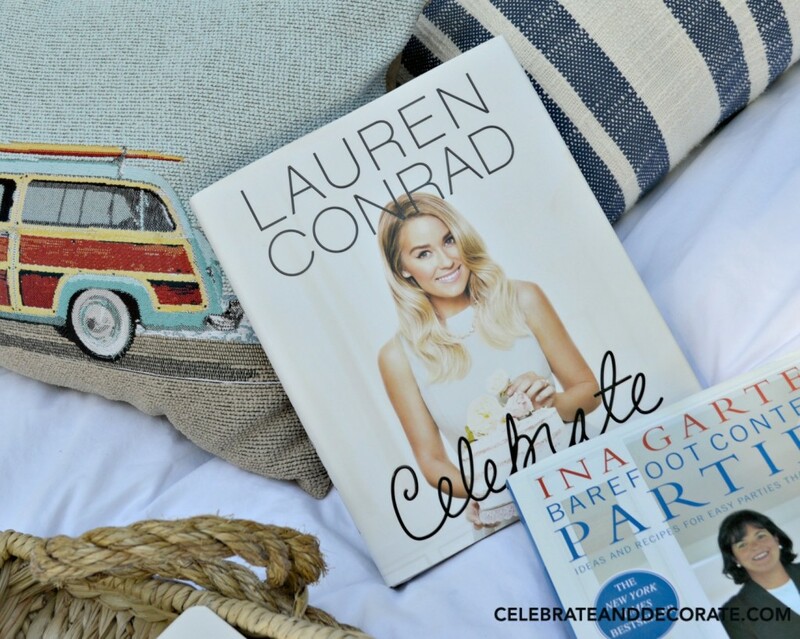 It was hard for me to resist a book titled CELEBRATE! I flipped through it at the store and I was hooked. I wish I had purchased it over on Amazon for just $17.25, but we all are entitled to an impulsive purchase now and then. Lauren gives you all kinds of party basics, common drink recipes, party etiquette tips, menus for different themed parties and lots of recipes. I can’t remember when I ordered Jonathan Fong’s PARTIES THAT WOW. 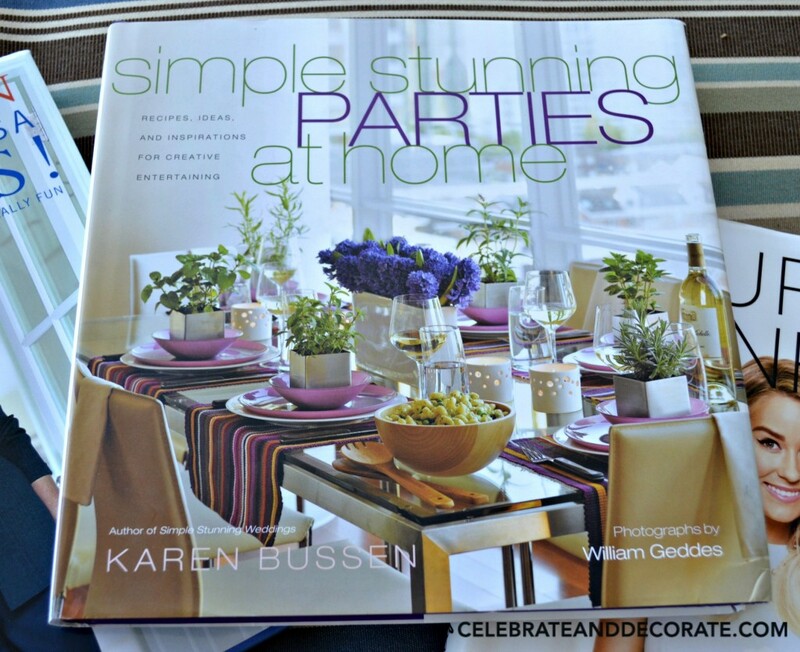 If hosting a theme party is your idea of entertaining and you could use some inspiration, this is the book for you! Jonathan’s subtitle is “Setting the Stage for Creative Entertaining” which really sums up this book. Jonathan’s party ideas include everything you might need to host one of those events, invitations, decor, recipes and more. This book is just fun to revisit again and again. When I picked it up and read the Introduction, it was as if I had written it! I am sure I would have a ball at any party hosted by Jonathan! Karen Bussen is a professional party and wedding planner who gives you all of the details to host 12 distinctive themed events, she includes menu, decor, drinks, wine and even music suggestions. Beautiful photographs are featured through the book along with a healthy dose of recipes. Simple Stunning Parties at Home is all about home entertaining throughout the year, even including a lovely chapter on host and guest gifts to consider. In What’s a Hostess to Do? 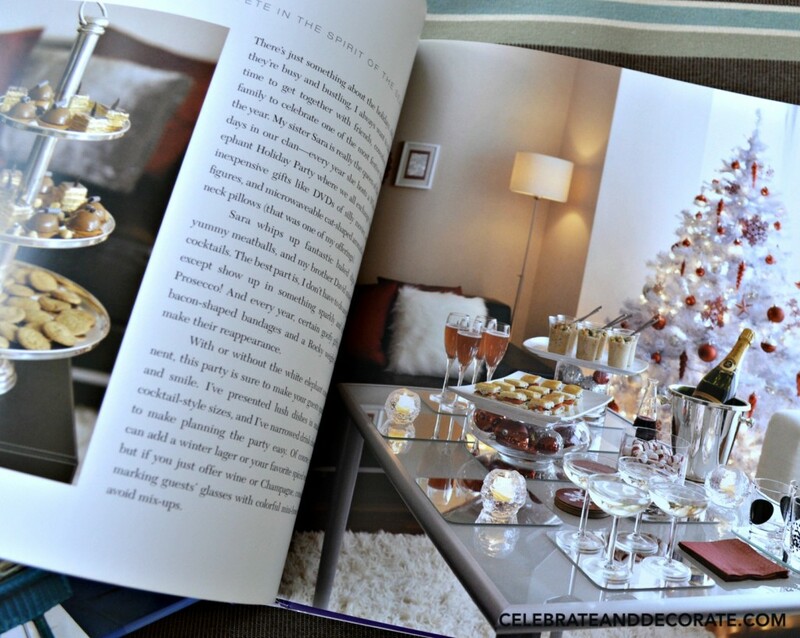 you won’t find the pretty pictures you will in these other books, but you will find “313 Ideas and Inspirations for Effortless Entertaining”. There are ideas in here for almost every hosting situation. I always seem to learn something new when I leaf through this one. Want to put together a proper cheese plate, hire a caterer, rescue dry white meat, shop for Champagne? It is all in this handy little reference book with an easy to use index. 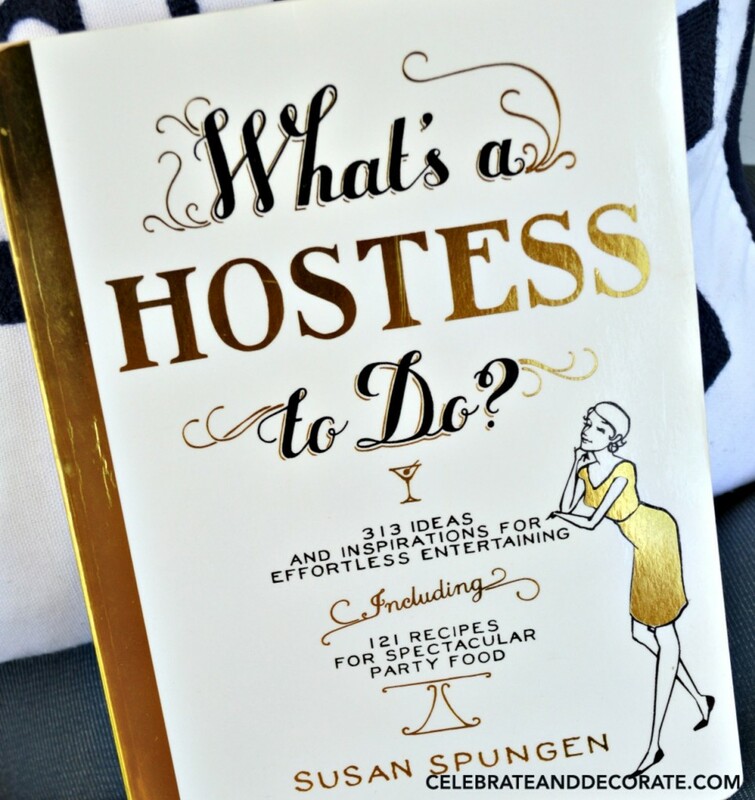 I consider this little book to be a staple for anyone who enjoys hosting! So here I sit (at least while the grandbabies are napping), enjoying ice water in my Tervis cup. I am really trying to wean myself off of diet soda! I hope you get a few quiet moments this summer to pick up a good book, whatever it may be and enjoy the summer! If you have a favorite book on entertaining, I would love to hear about it, I still have lots of room on my bookshelves! Love this Chloe! I really need to take regular breaks from my computer and social media. There’s nothing better than a book. I usually search Pinterest for recipes, but lately I was thinking about some of my cookbooks I haven’t looked at in years. I need to break them out and spend some leisure time looking through them. I love books on entertaining as well, but sadly I don’t entertain as much anymore. A few books you might want to check out are Tori Spelling’s Celebratori and anything by Katie Brown. I also like Sandra Lee from the Food Network. Happy Reading! Oh, Dawn, I am the same way with cookbooks, isn’t it great to thumb through them? I will check out Tori Spelling and Katie Brown books. I don’t have any Sandra Lee books, but I LOVE her magazines, such great inspiration! Loved your post! You are so great with your writing skills as well as all of the other things you do. One talented person! Valerie, that is so kind of you to say. Sometimes we all doubt our skills! I haven’t really written book reviews, but after a lot of editing, I felt like I did these books justice and gave readers an inside look as to what these books can offer them. Those look like great books Chloe! Sandra Lee! Thanks for the recommendations. I love Sandra Lee’s magazines, I hang onto them forever! Try to enjoy some of your time with your feet up, hope you recover quickly! very nice post thanks for sharing with Hearth and soul blog hop. You look so comfy sitting on your chaise lounge reading your books! Looking forward to seeing all the new decorating tips you will bring to us after getting re-inspired.